24.00 " x 24.00 "
Built by Swedish immigrant Hjalmar Aronson and run as a “hatching egg” operation, this rare 3 story chicken coop was designed to let the hens roam freely within the structure and allowed 12 hours of daylight to flood in through its many windows. The building was last used and operated by Hjalmar’s son in law, Lester, in 2005 as a “table egg” business. 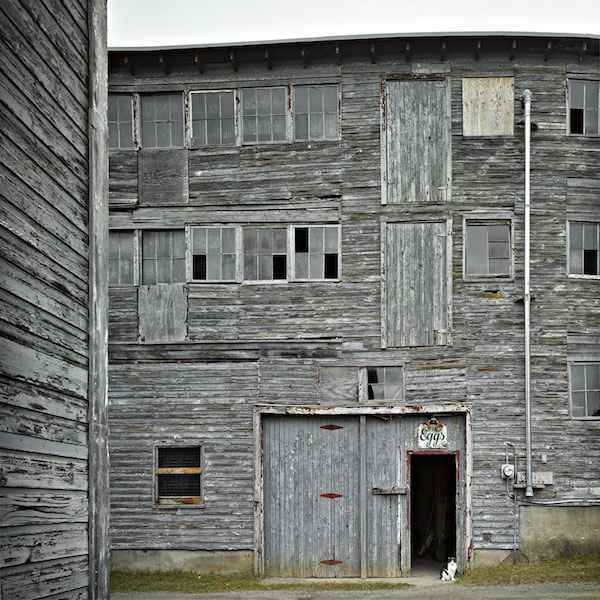 The adjacent building still stands where 3rd generation Brian Adams currently runs an egg distribution operation.